Ahead of traveling for their two-game road trip, the Los Angeles Lakers announced LeBron James was cleared to begin participating in practice as the next step in his recovery from a strained groin suffered on Christmas Day. Then over the weekend, Rajon Rondo was cleared for full-contact practices. 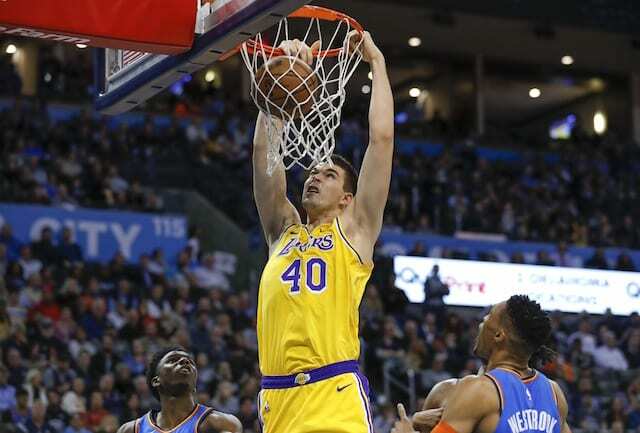 At the time, Lakers head coach Luke Walton downplayed the possibility that either of the veterans would return for the matchup with the Golden State Warriors on Martin Luther King Jr. Day. Walton then confirmed as much after Monday’s shootaround. Although James and Rondo will each miss a 14th consecutive game, they continue to make progress in their respective recoveries. Given the severity of James’ strain, it has come to light that the expectation was he would miss a minimum of three weeks. James, his agent Rich Paul, and the Lakers have all maintained the 16-year veteran will return only once he feels fully healthy. Even with Lonzo Ball now projected to miss four to six weeks with a Grade 3 sprained left ankle, the Lakers are not pushing James, or Rondo for that matter. “You like to get guys a full day of practice and whatnot, and we will. We’ll manipulate the practice schedule however we need to to get [James] playing against some people. I would imagine once he feels healthy enough to go that he’ll go,” Walton reiterated. Meanwhile, Rondo followed up a Sunday’s 5-on-5 scrimmaging by playing 4-on-4 with Lakers assistant coaches and staffers. He didn’t appear to be limited by his right hand that has now been operated on twice this season. Although Walton has noticed times where Rondo protects his right hand from contact, Kyle Kuzma is eagerly anticipating his return. “He’s been looking good. He’s been practicing, getting on the court and playing 5-on-5 with guys. He looks good. Still not there all the way. Having two surgeries on the same hand in a month’s span is definitely hard,” Kuzma said. 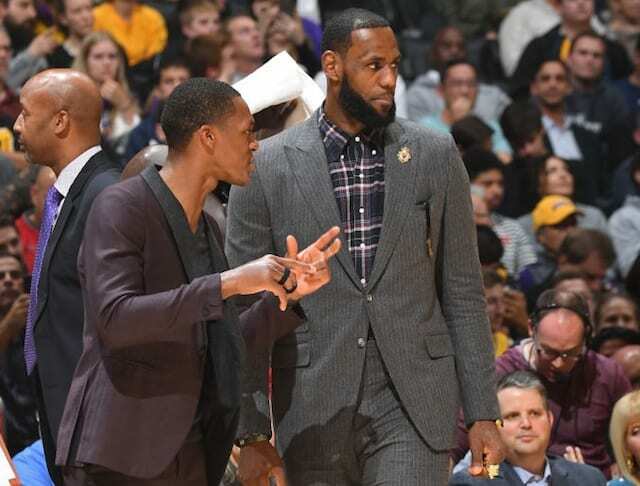 If James or Rondo don’t return against the Minnesota Timberwolves, the next opportunity would be Sunday when the Lakers host the Phoenix Suns.